According to activists in the ‘We’ve had enough!’ جبنا أخرنا solidarity campaign for Egyptian detainees on hunger strike, over fifty political prisoners have now joined the hunger strike in jails and police stations across Egypt. They are protesting against lengthy prison sentences for joining protests in defiance of the military regime, and the use of administrative detention without charge or trial. They want justice not just for themselves, but also for the tens of thousands of others who have been dragged through Egypt’s police cells, courts and prisons, facing abuse and torture on the way. A full list of detainees reported to be taking part in the hunger strike on 6 September is available in English here. 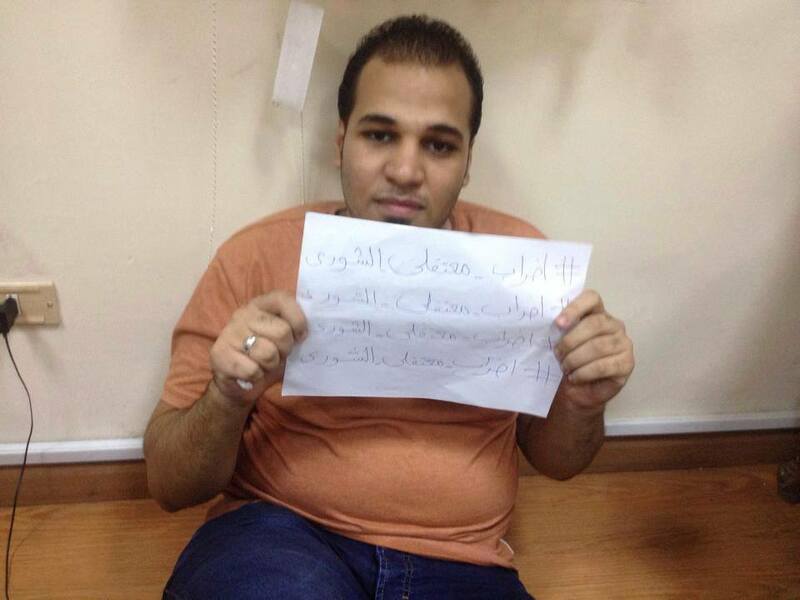 Meanwhile, supporters of the detainees’ campaign outside prison have launched their own hunger strikes in solidarity. They include Mona Seif and Laila Soueif, sister and mother of Sanaa Seif and Alaa Abdel-Fattah. Sanaa, a 20 year old student has been remanded in jail since 21 June awaiting trial for protesting at the 15-year jail sentence given to her brother Alaa for taking part in a protest outside the Shura Council last November. Seven of Alaa’s co-defendants in the Shura Council case, who were sentenced in absentia, began a hunger strike in solidarity with the colleagues who have been jailed in the case. They started a sit-in at the National Council for Human Rights on Sunday. Trials of the Shura Council defendants are due to restart on 10 September, while Sanaa and other activists arrested on 21 June on a march to the Ittihadiyya presidential palace expect to be brought to court again on 13 September.